e-insurance account help customer to manage all insurance policies online from a single location. e-insurance is completely paperless and secure. If you have difficulty in managing physical insurance policies, you can convert all physical policies to digital insurance using e-insurance account. There are many companies offering e-insurance facility CAMS is one of them. CAMS offer CAMSRep eIA facility. This facility is free. In this post, we will look at What is e-insurance account? 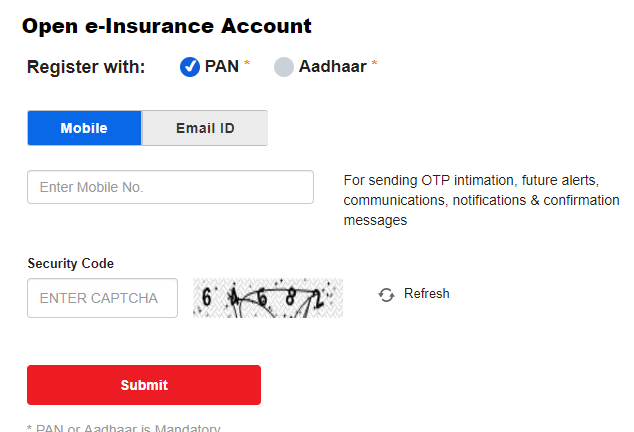 How to open e-insurance account under CAMS? and How to convert physical policies to e-insurance policies at CAMS? e-insurance account is online space where all your physical insurance policy documents are converted to e-document (electronic mode) and placed online. e-insurance is unique 13-digit account number provided to the registered customer via SMS and/or E-mail to login and manage policies. This account can be accessible anytime anywhere. You can use this facility for all types of insurance policies such as general insurance, life insurance, health insurance etc. You will get unique account number and access details once you open this account. Apart from storing policies in electronic mode you can perform many other operations such as paying premium, updating personal details of multiple polices, linking Aadhaar across multiple policies etc. Key Features detail of e-insurance account are given below. This type of account provide convenience as one can use single sign on for all insurance services. The information about policies can be accessed anytime anywhere. You can view all insurance policies – Life, motor and health policies on the single screen. This makes monitoring very easy. You need not to visit policy provider’s office as everything can be done online. You can change personal details such as address, phone number, nominee details under all policies online. You can pay premium across multiple insurance policies using this facility. Annual statement of all policies can be obtained in a consolidated manner. You can appoint an authorized representative for your account. The representative may be different from the nominee. He/she can access the account in the event of the account holder’s demise. The complete facility is available at zero cost. There are no charges of converting the physical policy to e-copy. The process is completely paperless and secure. This facility can be availed by Resident as well as NRI. The facility of e-insurance is regulated and approved by IRDA. How to open e-insurance account under CAMS? IRDA has declared multiple insurance repository. You can open e-insurance account with any repository. I prefer CAMS as insurance repository. The step by step method of opening e-insurance account under CAMS are given below. Login to camsrepository website and register by clicking on “Apply for a e-insurance Account” or “Register Now” button. It gives options to register with either PAN or Aadhaar. Select PAN or Aadhaar and enter your mobile number and Captcha Code. You will be taken to another page where you need to provide your personal information such as PAN No, Name, Date of Birth, Correspondence Address, Contact details and policy details. You need to upload PAN card and address proof details. Under policy detail option you can select multiple insurance companies. Once you are done with the selection of Insurance company you need to specify Policy Number. Now enter Captcha information and click on the Submit button. Once you press submit button you will get popup message with Application number. You will be able to download filled application form. You need to paste your photograph and apply your signature. Send this application form to CAMS office. It will take one business day to open your account. Once your account is opened you will receive SMS and E-mail informing about 13-digit eIA number. How to convert policies to e-insurance policies at CAMS? The process of converting physical policy to e-policy is very easy. You need to fill up conversion form. This policy form is available at the website of repository. You need to download the form and provide required information in the form such as eIA number, policy numbers etc. Policy document may or may not be attached with the form based upon the requirement of the insurance company. On receipt of policy conversion request, the insurance company will credit the policy in the policy holder’s e-insurance account. Once policy is converted into e-policy you can view it online under eIA. Before opening e-insurance account please consider following important points. Once you convert your physical policy to e-policy your physical policy document deemed null and void. There are no charges of opening an e-insurance account or converting policy documents. As complete information is placed online you need to be careful about data security and breach. Apart from CAMS, there are many other companies providing repository services.